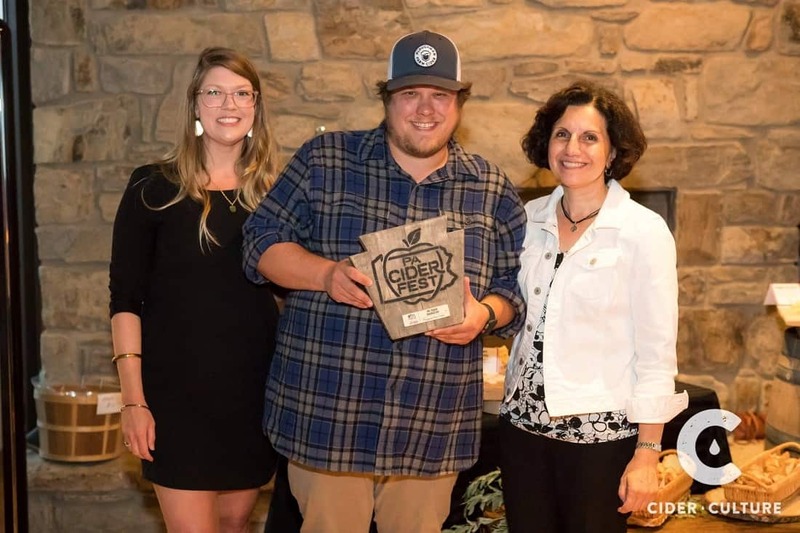 With over 100 years under their belts operating Three Springs Fruit Farm in Aspers, Pennsylvania, the Wenk family decided a few years ago to branch out and turn their fruit bounties into a range of hard ciders. Their approach to cider making stems from their long-standing “frontier” philosophy, which their website defines as “an eagerness to try new things, but always with authenticity to quality.” Son Ben Wenk led the charge, establishing a presence at farmers markets after graduating from college, and working up a complete business plan for the cidery to pitch to his family. “[It was] the same as if I was pitching to some outside firm,” Ben explains. With Ben, we dove into learning more about the ins and outs of launching Ploughman Cider out of his family’s farm. Cider Culture: Why did you want to diversify the family business? Ben Wenk: So many reasons! For starters, I had a passion for it. Reason number two, we’d noticed an increased market and interest for cider in the states and close to home. Furthermore, we diversified for a number of agricultural reasons. We’ve always grown processing-grade fruit, but the profit margins have been dwindling for years. So for our farm, it was a way to turn some of our processing apple acreage into a processed apple product that folks are more willing to buy that we can market ourselves. We also don’t have to manage cosmetic diseases in processing apples, so it’s a good fit for our sustainability goals. What has been the most difficult part of starting your cidery? Most enjoyable? The most difficult part has been underestimating the amount of space required to make cider, store product etc. The most enjoyable part has been serving it to people. Just like any creative pursuit, any kind of art, when people get it and appreciate it, it’s very gratifying. How involved is the rest of your family in the cider making? Similar to how the farmers market business got started, the idea behind this new pursuit was to allow my father and uncle to continue their jobs, just as they had been before this new business. Similarly, it’s been mostly true thus far. In short, by design, they have not been much involved, save for moving things around on behalf of the cider and growing all of these weird varieties we’ve planted. How has this involvement with the cider making helped or changed the orchard? Looking forward, it has the potential to be a huge benefit to the farm going forward. Right now, it’s [the cidery] purchasing between 10-12% of our orchard’s apples, which is a really nice customer to pick up when you look at it that way. Going forward, it should add more profitability to the farm across the board. What do you think the future of the cider industry looks like, and what needs to happen to get it there? The cider industry’s future is bright and full of potential. What we need is to educate consumers about what cider is, how it’s made, and how seamlessly it fits into every occasion, from barbecues to dinner parties to just hanging around the house. What has been the reception from the community and cider drinkers since you opened? We’ve been well-received among folks who knew our farm, Three Springs Fruit Farm, at farmers markets. That’s certainly been our base — certainly the farmers market customers and the restaurants we were already friendly with on the farm side. In terms of the general public, it goes back to that educational piece. When people understand what we’re trying to create or are willing to understand what we’re getting at, we tend to find a receptive audience with those folks. We’re trying to create ciders that use great apples and fun fruits from the farm. Our ciders tend to be on the drier side, with minimal intervention required, and for some folks, they might not have had a cider like this before. 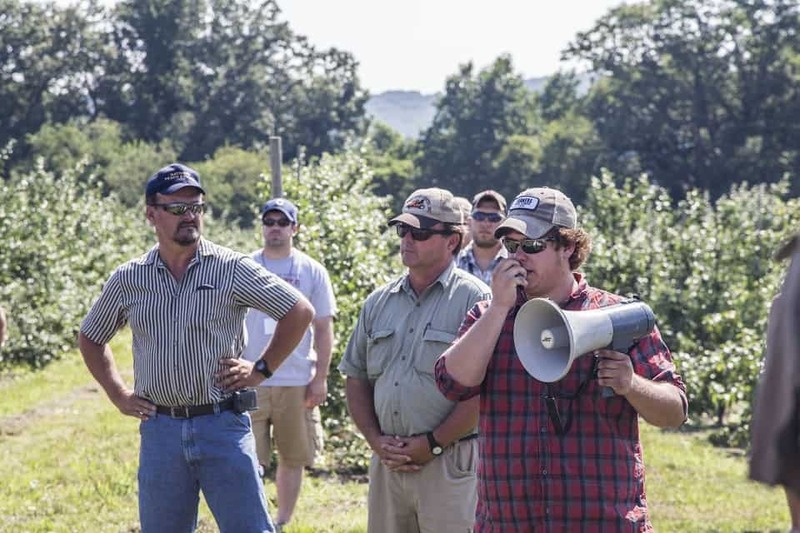 What are some of the lessons you’ve learned since launching your hard cider operations? We’ve learned a ton! We’ve improved our budgeting. We’ve changed our packaging to smaller bottles to serve our customers better. We’ve learned a ton about the beverage industry across the board — how it works, why things are done the way they are. I’ve learned something every day since we started applying for our permits and licenses. What will the next 5+ years bring for your cidery? Expansion and growth! Increased retail and new and different products. Expanding to new, regional markets. Above all else, we’re working to add an on-farm tasting room and providing a fun new place for our friends and neighbors to relax and welcoming cider drinkers from all over to check out our little swath of beautiful Adams County. What does your family think about your cidery now that you’ve been going a few years? Have their attitudes/opinions changed during that time, or were they supportive from the start? I’d like to think they’re as supportive as ever and even more engaged than when we started. More than anything, I think they’re ready for the cider company to have a building of its own so we’re not in the way of the farm as frequently! Did anyone in your family tree ever make hard cider (even if just homemade)? My Uncle John makes some really nice fruit wines! I don’t know that he’s made any for a few seasons now, but I think I have a bottle or two squirreled away somewhere. On your website, you mention that you’re not purists. Do you think purists are damaging the industry, or do you think that it’s important to have purists to super-experimental and everything in between to help the craft cider market grow? I could write a book on this subject. Speaking for what we do at Ploughman, we just kind of find our muse and go with it. Our first preference and our greatest passion is for ciders made from apples only — really cool apples that are rare and provide awesome experiences for cider drinkers. We also love feeling like we can make anything we want! But that experimentation, for us, comes on our own terms: cool things we’re growing on the farm, the chance to partner with really talented, creative collaborators. What you’ll never get from us is a cider that isn’t “full juice” or a blueberry cider just because we think we need to have one, or some cheap flavoring, syrup, or industrial puree. We’re going to farm it, and we’re going to make it ourselves. The purists are not damaging the industry in any capacity. By the time the orchards of America are growing fruit that’s ideal for making into cider, we’ll see more purists in the marketplace. Your orchard’s website doesn’t promote/feature your hard cider. Was this a decision the family made, or you just haven’t added cider yet to that website? What percentage of your bottom line annually comes from your hard cider, and where would you like to see it get to? Our orchard website is being rebuilt from the bottom up and, as a result, we haven’t updated it much since our cider company has gone online. We wanted to brand the cider company separately from the farm because we don’t want to dilute one or the other. When the Three Springs Fruit Farm website is complete, it’s going to be an asset to apple enthusiasts and will have a role in cross-promotion with the cider company. They’re also two separate companies and function as such. In other words, Ploughman is merely a customer of Three Springs Fruit Farm and both are designed to succeed independently of one another. If the goals of both Ploughman and Three Springs are met, both can grow and sustain themselves in a synergistic way. Their goals are very much aligned for sure, but we can’t combine them like that, functionally or philosophically. The place we’d like to see the cider business get to is simply wherever it best benefits the farm. If we can make more money selling fresh fruit to grocery stores, we should do that and not make cider. However, my hunch is that the cider business should grow into a bigger part of our farm’s success, but we have no reason to force it. 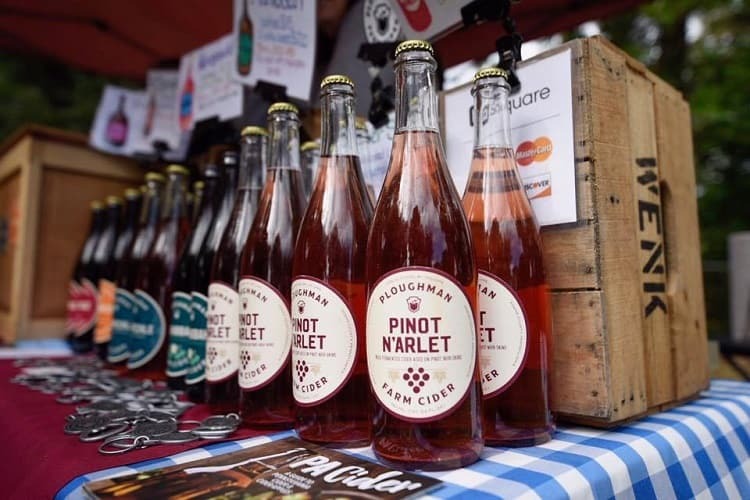 Learn more about Ploughman Cider and Three Springs Fruit farm by following along on their Instagram (here and here) and Facebook pages (here and here). 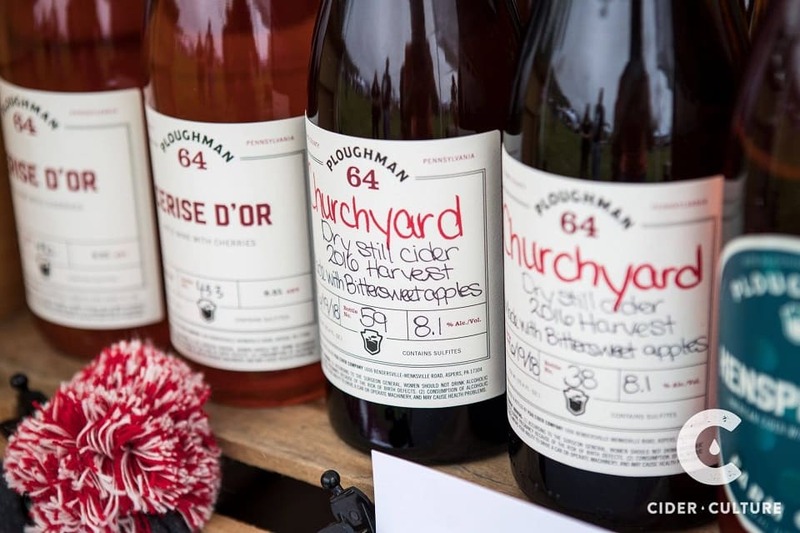 If you want to try Ploughman’s excellent farm ciders for yourself, use the cider finder tool on its website.